They also said that no such action was taken against the perpetrators of violence targeted against the armed forces personnel. 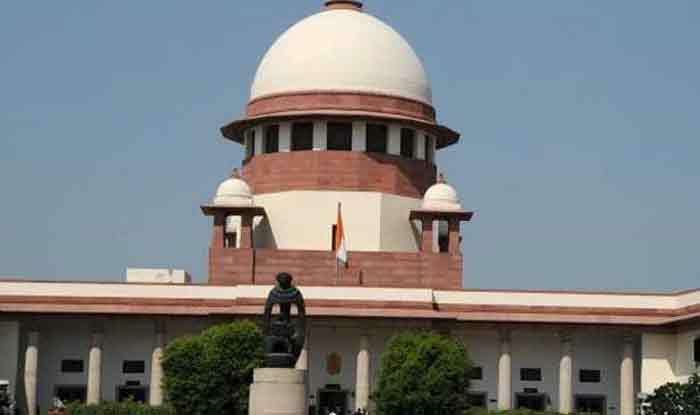 New Delhi: The Supreme Court on Monday sought responses from the Centre, Jammu and Kashmir government and the National Human Rights Commission (NHRC) on a PIL seeking a policy to safeguard the rights of armed forces personnel in insurgency-hit areas. The public interest litigation (PIL) filed by Kajal Mishra, daughter of a retired Naik Subedar, and Preeti Kedar Gokhale, daughter of serving Lt. Col. Kedar Gokhale, has sought the formulation of a policy to put in place a mechanism to safeguard the armed forces personnel’s rights during the discharge of their bonafide military duty when unruly mobs resort to stone pelting. “Depriving the armed forces personnel of their rights to prosecute a person, who has committed an offence against him, is a violation of his fundamental right to life and liberty, including the right to legal recourse,” the PIL said. A bench of Chief Justice Ranjan Gogoi and Justice Sanjiv Khanna issued the notice as the petitioners said they were “aggrieved and dissatisfied” by the “substantial inaction” by the Centre on the violation of the human rights of armed forces personnel during their bonafide duties in the counter-insurgency operations in the trouble-torn state, including incidents in Shopian. “More often than not, there are FIRs filed against the troopers and soldiers, if they take any action in retaliation or in self-defence, against the perpetrators of stone pelting,” the petitioners contended. The petitioners have also expressed shock at the statement by the state government that said 9,760 FIRs against stone pelters were supposed to be withdrawn as they were first-time offenders. The petition contended that FIRs could not be withdrawn without following due process of law under the code of criminal procedure.